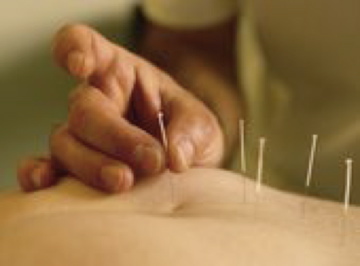 Acupuncture has been shown to relax and rebalance the body. When there is balance there can be no dis-ease which is why Acupuncture is able to address such a wide range of issues from physical and hormonal to emotional. Below is just a sampling of the health issues that we can help you overcome! Does your face look tired, is it losing it's luster, or have you noticed fine lines creeping in? Try Facial Massage and/or Acupuncture to stimulate blood flow to the face, building facial muscles and helping to increase collagen for a more youthful appearance. A minimum of 6-10 weekly session recommended for optimal results. You leave feeling rejuvenated and fabulous! An effective therapy for joint restriction, fascial tightness and addressing the restructuring of scar tissue. Utilizing a specialized sequence of the Acupuncture points along with points used for Chakra Alignment which seems to be able to activate the connection between the body's meridian lines (Oriental Medicine) and the axiatonal lines or energetic matrix of the universe. Depending on the actual sequence used, the results seem to affected physical blockages as well as path blockages. If you feel you are in a holding pattern in your life or your health, this is something you might consider.